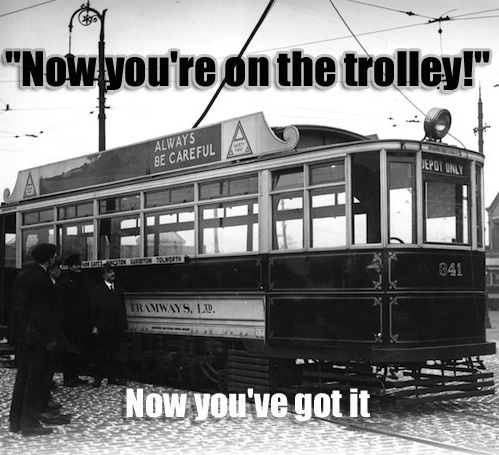 The password this week is “now you’re on the trolley”. It’s a term that originated in the 1920’s meaning “now you get it, now you’re right”. Reserve a table now at http://www.grandstaffandstein.com .